This is a personal finance blog and I normally focus on that topic but this week my wife and I went to a doctors appointment to check on how the baby is doing. These appointments have become fairly routine and are usually nothing more than a “how do you do” with a nice hefty price tag but this appointment was something different. We had an ultrasound and the baby is big enough that we were able to have a 3D view. We could actually see the baby’s face clear as day. She was in there sucking on her lower lip and even made what looked to be a kissy face at us. This struck home that in just a few weeks, which will probably blow by far too fast, there will be another member to our family. There will be new sounds, and uh..smells and there will even be new expenses that we will have to think about. I have decided that I want to start a mini-series of posts about family financial planning that will include ways to save and prepare for a new baby. Our family lives on a fairly humble income but we make just enough that we do not qualify for Government financial programs that usually would cover pregnancy. We do not have insurance so a baby is a big expense and we had to make some major changes in how we live to afford it. These are the things this mini-series will go over because there are a handful of people I know closely and millions of people in the United States that are without insurance. Those 3D images are amazing. She's going to be quite the looker! Wow, that's all I can say. 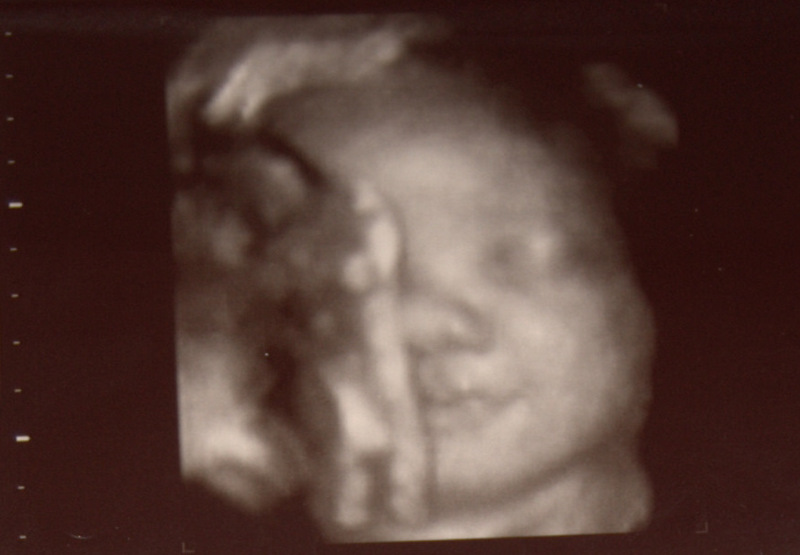 Those 3D ultrasounds really are amazing! My brother and his wife just shared their ultrasound pics with us, and the old ones are quite a bit different – you have to squint to see what you're looking at. Not this one, you can see the face clear as day! Congrats! Hey thanks! and thanks for stopping by. Yea the new ones are crazy clear, but sometimes a bit scary. If you do a 3D ultrasound before the baby is this big, you see 3D images of internal stuff, gross. But they sure have come a long way from the old grainy black and white stuff. Who knows what the future holds for this technology..
i didnt know they do 3d ultrasounds! the baby looks good! Thanks again and thanks for visiting! Jesse on Is Auto Assure a Scam? Jesse on Amazon Prime Review – Is It For You?